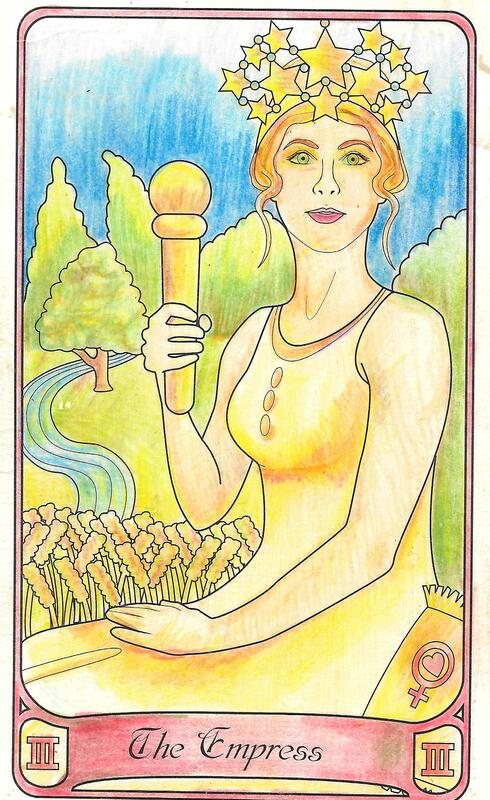 The overall energy of the week is the Queen of Wands. It’s the 12th week of the year so 1+2= 3. 3 is a number that symbolizes things coming together. The Leo rules the unstoppable, go getter Queen who knows how to make things happen. Your high expectations for what you’ve been building for weeks is finally paying off and you’re starting to see results. Don’t stop now. If you look at the forecast for the entire week, there are so many 10s. We also have the World card in the mix. This is beginning of the end of a major cycle, my friends. We’re on the verge of some major transformations. There is potential for you to make big changes in your life right now and I advise you to take full advantage of this opportunity. Every little thing you do to let go and every intention you set is going to have big effects for a long time. This is partially due to the energy of the eclipses hanging around. There was a solar eclipse last Friday and on April 4th and we’ll see a lunar eclipse. Here’s a note about being in between eclipses from Braveheart Astrology because Jodie communicates the importance of this relationship a lot better than I do. As always, there are bonus Journal Pages available to download for those of you who want to take your transformation a step further. And if you’d like to recieve the forecast in your inbox every Sunday, please subscribe to my newsletter here. All times in the Forecast are set to Eastern Standard Time. For time conversions, go here. The World is a beautiful card that signals the end of and beginning of cycles so it’s appropriate that the Moon enters Taurus at 6:40 AM EST. Due to the hard working and solid energy of Taurus, it’s a good time to keep plugging away and wrap up projects that are close to being finished. Mercury makes a sextile with Pluto at 4:25 PM, brining transformations in your thoughts. The Moon makes a conjunction with Mercury to help you balance your mind as you receive revelations. The Moon also makes a sextile to Neptune, strengthening your imagination and upping your psychic senses. At 5:33 PM, the Moon also conjuncts with Venus so go outside and be romantic. Enjoy the sunset and process everything happening to you and how exiting all of this change is. 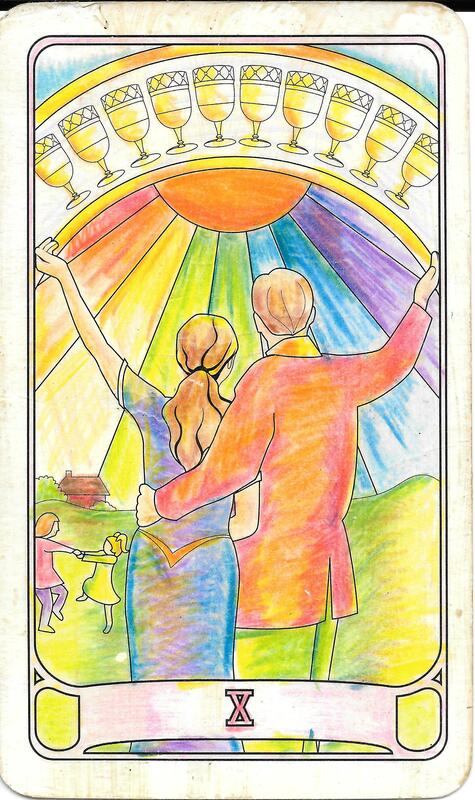 It’s interesting because the World card has a very Biblical Revelations overtone, verifying that the door to your mind is about to be blown wide open to receive whatever enlightenment you’ve been asking for. The number for the day is 6, which amplifies the theme of communication and harmony. It’s going to be a wild ride, so be ready for it. Mantra: Show me the way. The numerology of the day is 7, which helps you sort out the finishing touches to your work. Mantra: I’m ready to grow. 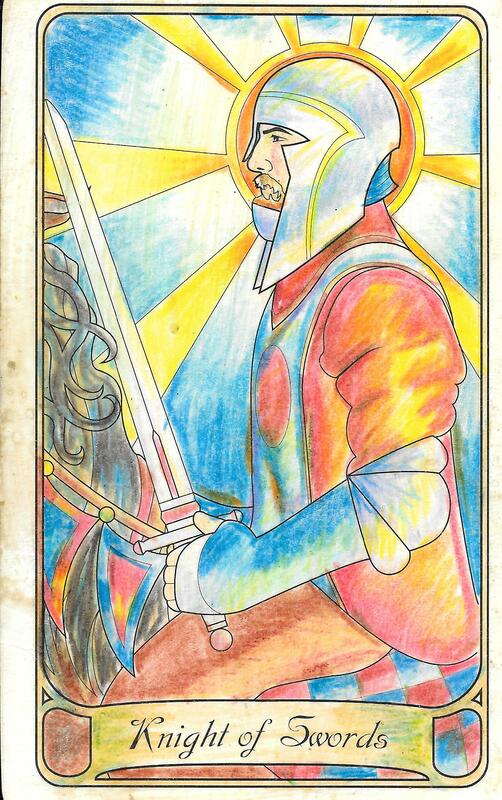 The Knight of Swords is a reckless guy who is all about fast, furious action. With the moon entering Gemini at 9:22 AM. The Knight may bring feelings of restlessness with him to the day. Because of this energy, you may be tempted to jump right into action but remember that good, solid planning often secures success. Just like the dual sided Gemini, there are two kinds of energy available for us to use at our disposal today. Venus makes a sextile to Neptune and the Moon makes a sextile to the Sun so the potential for harmony is there until around 5:53 PM when the sun forms an opposite with Saturn. The temptation to wallow in self-pity will present, bringing up more feelings of restlessness and the inclination to make brass decisions because of the Kinght’s energy. The Moon squares Neptune at 11:58 PM so flighty, emotional feelings will continue as the night goes on. It’s best to save your energy for tomorrow and go to bedearly if you’re feeling blue. The numerology for the day is 8 so karma is out and about. Don’t fight it and pay it off. If yesterday was rough, today is the day to bounce right back. The intellectual, balanced side of the Moon in Gemini comes into play today along with the Moon also making a sextile with Jupiter and Urnaus. 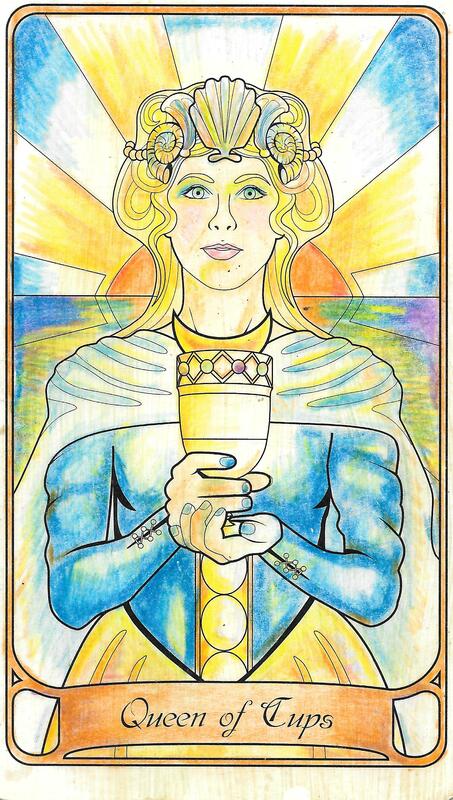 The 10 of Cups brings abundance, happiness and satisfaction in all areas of life today. New breakthroughs are due to inner peace and mental clarity are possible so don’t be afraid to let your imagination wander. In numerology, the number of the day is 9, signaling that we’re at the end of another cycle. Evaluate what’s happened between Sunday (The World card) and today. How are you feelings? What are your wins you can tally up for this week? With the first quarter of the Moon approaching on Friday, it’s a good time to get your intentions in check. 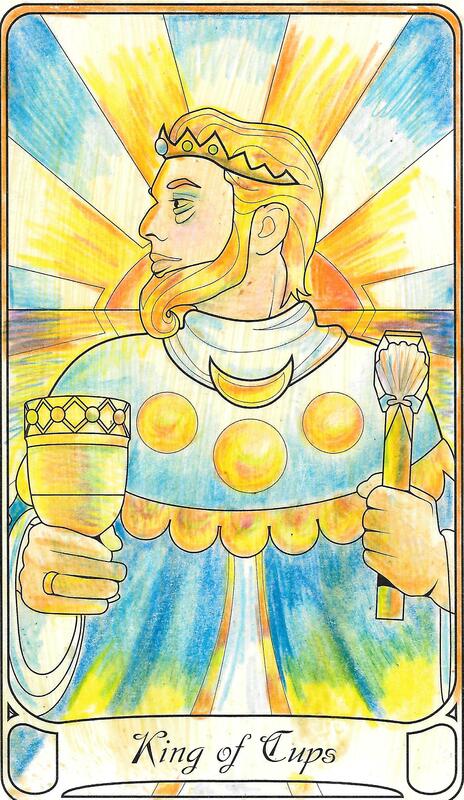 The Moon enters Cancer at 3:45 PM EST and The King of Cups is ruled by Cancer so it’s going to be a wet one today. The King is emotionally balanced side of the Sacred Masculine. He is in touch with his feminine intuition but also understands his masculine side. The balance is strengthened by the Moon making a sextile with Mars. This brings stability, vitality and good health. You’ll see all these effects once the Moon enters Cancer at 3:45 PM EST. Use the Gemini void of course to clear your head and ground yourself. The numerology for the day is (1)0. This is the third indication that a cycle is ending this week. The number sequence 111 is all about manifestation so keep your thoughts positive and believe that the future you want is happening now. If you find yourself engulfed in negative thinking, consider what’s working for you and what’s not so as not to carry what you don’t need over into the next cycle. The Queen of Cups is emotional and there’s a lot of tension in the stars today so curb your tendencies be possessive and secretive. Instead, use the Moon in Caner to amplify the loving, nurturing side of the Queen. It’s the First Quarter of the Moon so get your intentions in check and readjust your attitude because the Solar Eclipse in Pisces rearranged some things. Make sure that you’re focused on the intentions you set during the equinox but if you’re not, now is a good time to refocus. Recognize the ebb and flow of what pushes you forward and what’s holding you back. Then commit to moving forward even if it feels like you’re swimming upstream. Be gentle with yourself and don’t forget your selfcare. This is reinforced by the number 2, our number for the day, which calls for finding balance between the past, present and future. Mantra: Through life’s ebbs and flows, I let choose to let go. 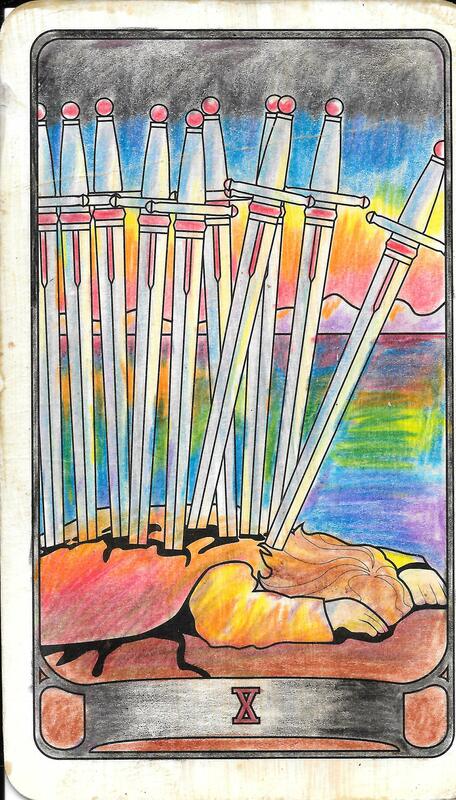 The 10 of Swords is a card that may bring a lot of pain but also brings hope because the worst is over. You could be experiencing some pain from the commitments you’ve made in the recent weeks because those commitments have called for you to bring things that aren’t serving you to an end. As a species, sometimes we like to choose comfort over growth. But how comfortable can you be when you’re not reaching your full potential? If you’re feeling defeated or lost because of all the changes you’ve made and you’re not sure where to turn, heed the lesson of the 10 of Swords. The 10 figure on the 10 of Swords lies defeated, bloody and bleeding. The Moon void of course reminds the fallen warrior that sometimes it’s best to lay low and let things pass rather than getting right back up again after a big loss. We have the number 10 again, which is yet another signal that the current cycle is ending and another is beginning. It’s over. But 3, the number for the day, reminds us that things are actually coming together in a way that is quite beneficial. Mantra: Don’t be sad because it’s over; be happy because it happened. 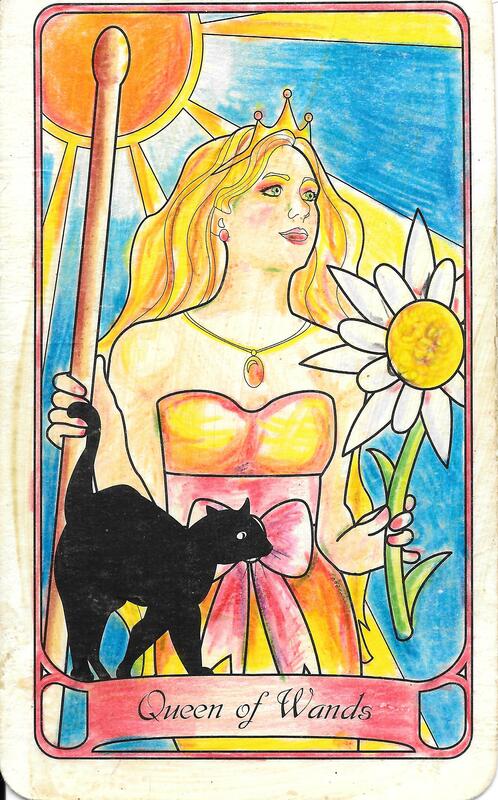 I’m Alanna L.P., also know as D’arcy Decadence, of Magadalena Tarot Inc. I’ve been reading Tarot for 10 years and I’m also a Magickal Qabalaist and practicing witch. With the growing shift of consciousness in my generation, my aim is to reinvent Tarot and help millennials find spiritual growth and guidance through multimedia interaction. If you’d like deeper insight into how the Tarot plays into your life, book a reading with me here. If you’d like to receive updates by e-mail, go here. 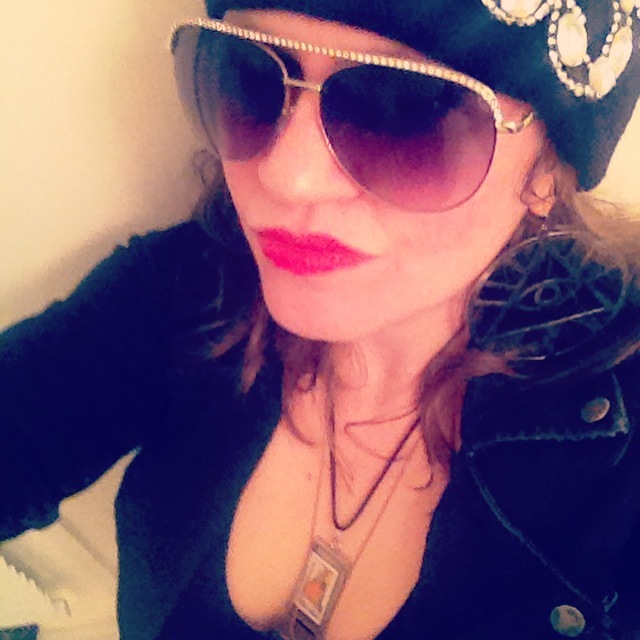 Jodie Lewin is the founder of Braveheart Astrology. 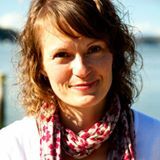 She uses astrology to help women over 30 get clear about their purpose so they can reach their potential and live a more joyful, meaningful and abundant life. She also helps entrepreneurs brand their business so it aligns with their personality and purpose, and helps them make better business decisions by understanding and making the most of the cosmic energies available to them. Connect with Jodie at Braveheart Astrology. This entry was posted in Astrology, mysticism, numerology, self help, spirituality, Tarot, Uncategorized, Writing and tagged astrology, divination, inspirational, numerology, occult, self help, tarot, witchcraft, writing. Bookmark the permalink.